At Uni Vets Camden we offer a range of flea and tick control products and our experienced staff can help you choose the most effective product for your pet depending on their environment and likely exposure to fleas and ticks. We are very lucky that there are some very effective new products for treating fleas on dogs and cats. Some are tablet or chewable treats, which will kill fleas for up to three months after a single treatment. Because these medications are given orally, they can't be washed off. We used to recommend using sprays and flea bombs around the house, but these new products seem so effective, we don't usually need to do this anymore. Some pets can develop an allergic reaction to fleas. It can be more difficult to treat these animals, as often, you will not see any fleas on their skin or in the house or yard. 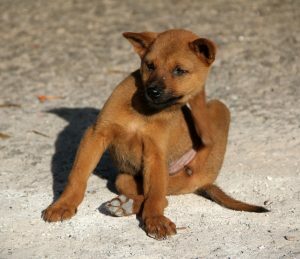 But fleas can be carried by all types of wild animals and other pets in the neighbourhood, and just a single bite can leave some dogs and cats incredibly itchy for days or weeks. Regular flea control is especially important for these pets. 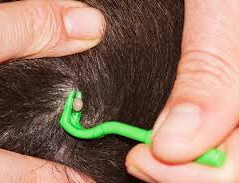 There are many types of products available, and some include treatment for heartworm, intestinal worms or mites too. Just speak with one of our friendly staff and they will be able to help you select the best option for your furry friend. Paralysis ticks (Ixodes holocyclus) are a life-threatening parasite affecting dogs and cats. Although not found in the Camden area, your animal can pick up a paralysis tick when in another area. They are prevalent in bushy, long grassed, sea-side areas, making dogs that take trips to the coast at the highest risk. Paralysis tick symptoms may not present themselves until up to several days after the tick has attached itself to your pet. If you suspect your animal has a tick, seek veterinary attention immediately. Our vets will identify and remove the tick, and then start the appropriate lifesaving therapy.